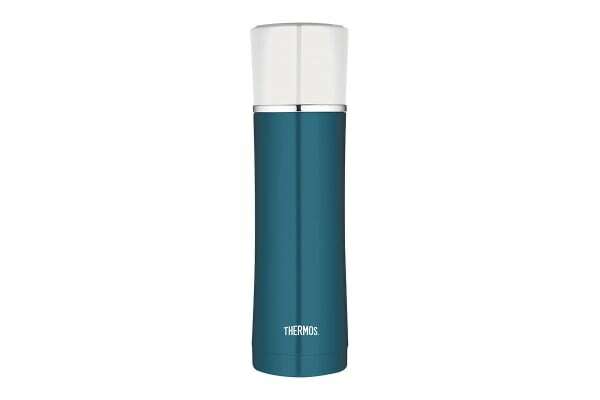 Integrating vacuum insulation technology, the Thermos 470ml Vacuum Insulated Flask is just what you need to keep your favourite drink hot or cold for many hours. The Thermos 470ml Vacuum Insulated Hydration Bottle has a compact design that makes for easy portability. Whether it’s a long day at work or a short road trip, stay refreshed with your favourite drink! This Thermos flask will keep your drink hot for up to 12 hours. Its stainless steel exterior not only adds to durability, but remains cool to touch no matter how hot the drink stored is.